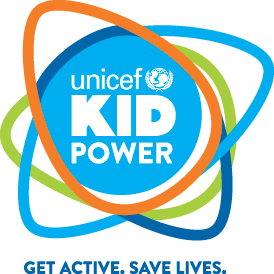 UNICEF Announces Launch Of KID POWER! UNICEF excitedly announced today, February 25th, the launch of a revolutionary new tech & fitness program that’s working to get American youth active while helping to save lives around the world. Through the use of the world’s first “wearable tech for good,” around 10,000 elementary school students in Dallas, Boston and NYC will take part in Kid Power which provides lifesaving nutrition to severely malnourished children. Beginning in March, the thousands of participants will monitor their physical activity with UNICEF Kid Power fitness bands that tracks kids on their way to a goal of 12,000 steps a day. That full day of physical activity converts into one packet of Ready-to-Use Therapeutic Food, a specially-designed protein and vitamin-rich paste used to save the lives of children with severe acute malnutrition. The kids participating in the 30-day challenge will be joined by the help of their mayors, UNICEF ambassador Tyson Chandler, the Dallas Mavericks, Brooklyn Nets and the Boston Celtics, Red Sox and Bruins. Merging technology, fitness and philanthropy, Kid Power will work to save lives around the world. This is something truly great! Go, KID POWER! 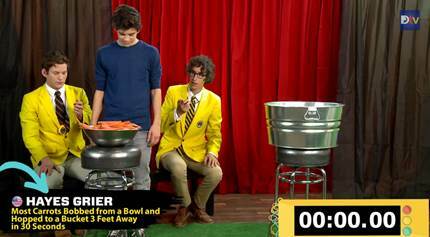 YouTube Star, Hayes Grier, Sets New Record On DreamWorksTV “RecordSetter Kids”! Have you ever wanted to beat a world record? Or do you just enjoy watching everybody else take up the challenge? How about those crazy challenges that never even existed before? Then DreamWorksTV has the web series for you! A very funtastic and playful web series, “RecordSetter Kids” is a series where kids take a chance to set records never before attempted by anyone else in the world! 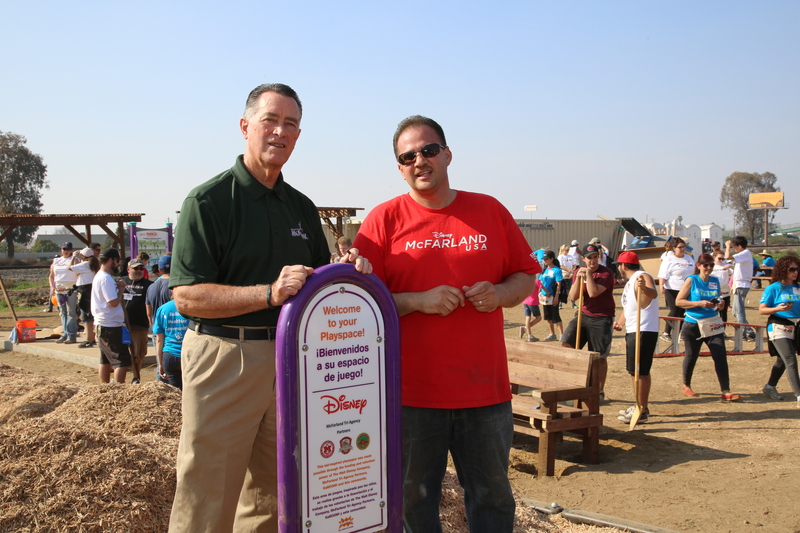 It makes breaking world records a possibility for all kids! And these records have pulled famous YouTube and Vine star, Hayes Grier into the fold! Recently, he took up a Carrot Challenge (seen in pic above) along with a Cutie Pie Challenge and an Afro Circus Challenge! Many of these challenges have silly names, but they are extremely fun to do and try! You can check out “RecordSetter Kids” right HERE on DreamWorksTV’s YouTube! What challenge would you be willing to try? New Year, New To TeenInfoNet! 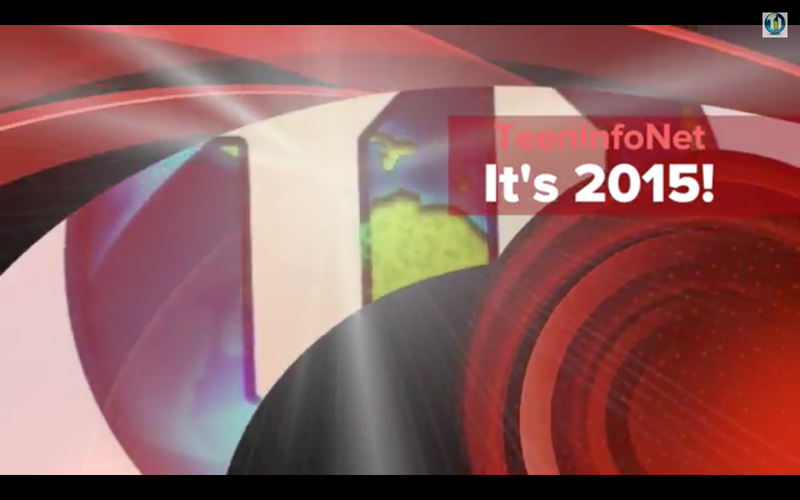 2015 brings new and exciting things for TeenInfoNet and all of our amazing followers, starting with new projects! Starting this weekend, you can catch up on what you might have missed over the week concerning your favorite stars in TI’s Weekend Roundup! Every Saturday, check back with us for a two minute roundup of top stories. Our first Roundup includes stories from over the holidays including Demi Lovato’s adorable new Pooch and Kendall Jenner, Selena Gomez and Cody Simpson ringing in the New Year in Dubi! Check it out and be sure to subscribe to TI’s Youtube channel for instant updates! Indie-Rock Band, Kids, Streams “Love’s Song” Exclusively On Diffuser.fm! In addition to the exclusive stream on Diffuser.fm, Kids is also giving their fans a special holiday gift, offering a FREE download of “Love’s Song” by signing up for their mailing list through their website at thebandkids.com/contact-us/. The free download promotion will run through the holidays until New Years’ Eve. 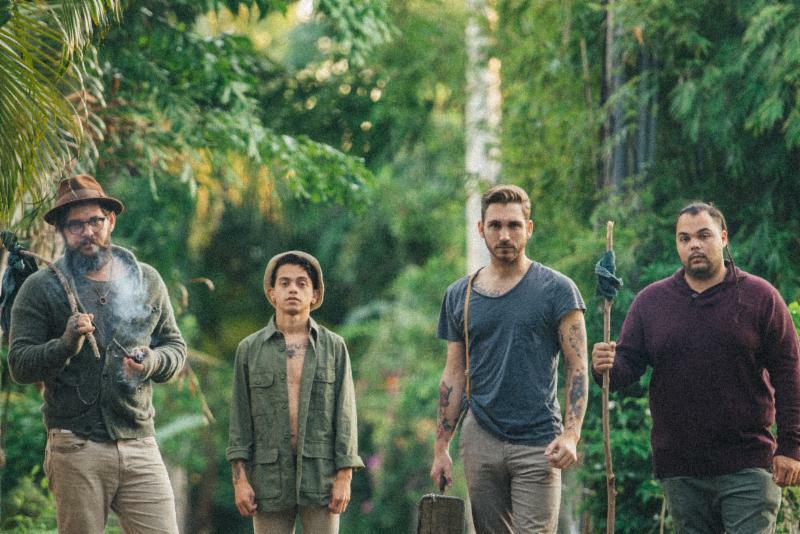 Kids (similar to Young the Giant, American Authors, Mumford & Sons) is an eclectic four piece American Indie-rock band formed in 2012 by Josiah Sampson (guitar), Joshua Diaz (lead vocals, bass), Matthew Barrios (drums) and Christian Gonzalez (guitar). Aside from their musical career, the band works in lead production roles at C&I Studios in Fort Lauderdale alongside Director Joshua Miller. Together, setting a new standard for the relationship between indie songwriting, Kids and C&I Studios are expanding their creativity and transforming their music into short film, bringing their listeners (and viewers) on a journey through time as they tell their story. This sensational band is proving that they’re not just an indie-rock band, they’re an all-inclusive musical experience. With their debut album, Kids are reinventing the feeling of freedom that reminds us of wanderlust and adventure. Rich Coast unites vintage folk sounds with symphonic melodies and an array of unique instrumentals creating an original indie-rock album. Rich Coast features a wide variety of rare and distinctive eastern instruments such as Gϋseng, Shruti Box, Zither, Melodica and Casinets, and western instruments Hammer Dulcimer, Ukeline, Banjo and Nashville Guitar to complete Kids’ passionate tale. Kids‘ debut album Rich Coast was produced by Jeremiah Dunlap at Emissary Studios in Orlando, FL, mixed by James Joseph Audio in Memphis, and mastered by Brad Blackwood at Euphoric Mastering in Nashville, TN. Kids strives to connect with listeners by evoking powerful emotions through vibrant melodies and passionate lyrics. “Love’s Song” is a powerful feel-good folk anthem that sets the stage for what to expect from Rich Coast, reminding us of the everlasting battles and triumphs of love. Stream “Love’s Song” exclusively on Diffuser.fm now and head on over to thebandkids.com to get your free copy before the end of the year! 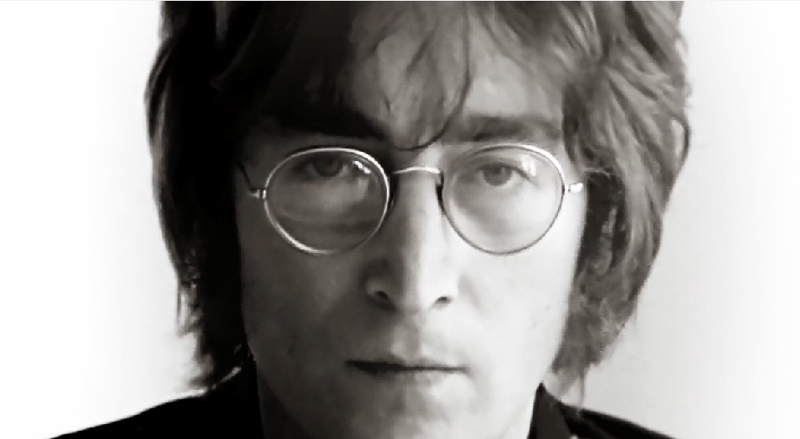 VIDEO: Celebs Sing-A-Long To John Lennon’s “Imagine” For UNICEF! Today, November 20th, UNICEF unveiled the #IMAGINE project as part of celebrations for the 25th anniversary of the Convention on the Rights of the Child during a musical event at the United Nations General Assembly. The #IMAGINE project brings together artist Yoko Ono, renowned music producer and DJ David Guetta, UNICEF Ambassadors – including Katy Perry, Priyanka Chopra, Angélique Kidjo, Daniela Mercury, Yuna Kim – and a host of other high profile supporters with the aim of creating a unique moment in music history that will highlight the tremendous challenges children face the world over. A new interactive digital experience, powered by TouchCast, will allow everyday people to record their own version of “Imagine”, John Lennon’s iconic anthem of hope and peace, alongside their favourite stars, in what UNICEF hopes will be the largest ever global sing-along. Check out the fantastic “Imagine” video with plenty of your favorite stars that also include Lance Bass, Cody Simpson, David Arquette and more by clicking HERE! 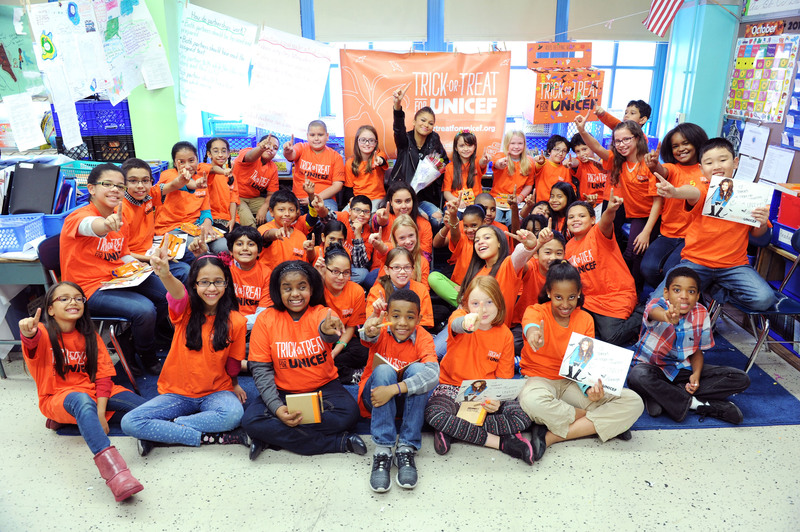 Zendaya Surprises Local New York City School To Promote UNICEF — See The Photos! After actress and music artist, Zendaya, this year’s Trick-or-Treat for UNICEF Spokesperson, promoted UNICEF on Good Day New York yesterday, October 27th, this year’s Trick-or-Treat for UNICEF Spokesperson, made a surprise visit to P.S. 163 Alfred E. Smith Elementary in New York City earlier today, October 28th. Arriving at the elementary school, an unsuspecting class received a shock as she made her way into the room. Zendaya spent one-on-one time with the kids as she helped them decorate their very own Trick-or-Treat for UNICEF boxes to take home. Later on, hundreds of students gathered for a surprise assembly led by the star herself. The kids were able to learn more about the campaign, what it means to her and how they could also help save the lives of other children around the world. Ten lucky students had the chance to participate in a Q&A session at the end of the assembly. Questions ranged from what costumes Zendaya wore as a kid to where donations specifically go and of course, whether or not she would be able to give everyone a hug. This year, Trick-or-Treat for UNICEF has been made even easier through the option of fundraising digitally via Crowdrise. A personal page can be created in just a few simple steps for those who may not be able to go door-to-door, allowing friends and family members to donate with the click of a button. Although orders for collection boxes are closed at this time, it is still possible for participants interested in going door-to-door to download a printable label and create their own box. Donations collected through the campaign provide medicine, nutrition, clean water, emergency relief and education to children all over the globe. No contribution is too small – with just $1, UNICEF can provide a child with clean drinking water for 40 days. Trick-or-treaters all over America have raised more than $170 million for the U.S. Fund for UNICEF since 1950. Do scary good this Halloween and learn more about the Trick-or-Treat For UNICEF campaign by going to www.unicefusa.org. Check out these wonderful pictures of Zendaya and the students at the New York City school below! 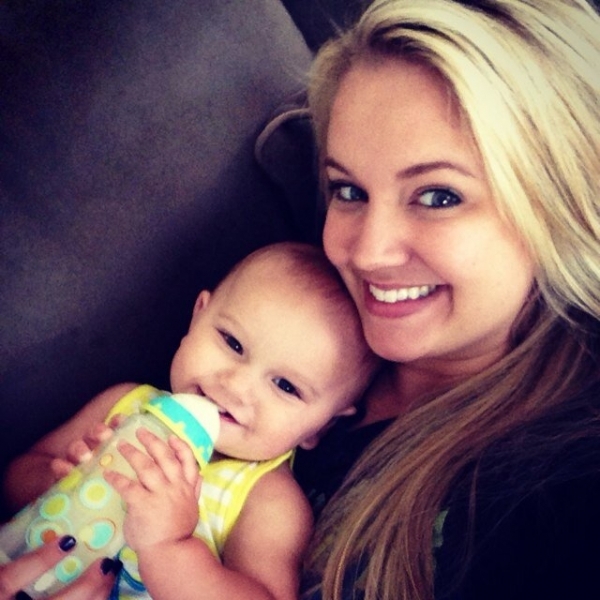 Actress and singer Tiffany Thornton has joined the “mommy blogging” world! Tiffany has two adorable kids named Kenneth James (KJ) and Bentley Cash and now she wants to share all of the things she’s learning about being a mom with the world thanks to Disney Baby. Tiffany will be sharing funny stories, recipes, memories, photos, and more on her new blog HERE and encourages other moms to share their stories with her as well. Be sure to give Tiffany a warm welcome and enjoy the video she has posted as an blog intro for her new and old fans below! 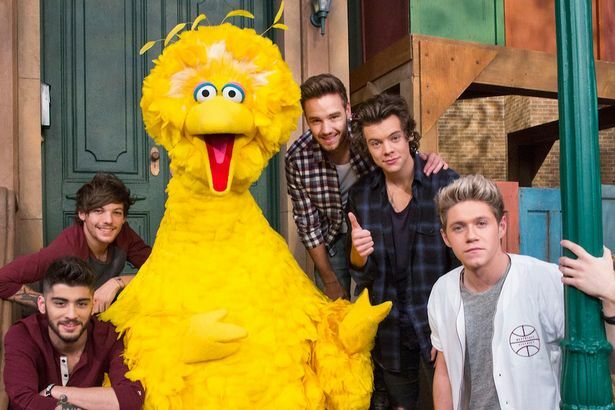 One Direction Is Visiting Sesame Street This Season – Check Out The New Promo Here! Be sure to check out the promo in the video below and let us know what you think by commenting! Selena Gomez Supports Her Local Lemonade Stand – Too Cute! This summer sure has been a hot one in LA, and what better way to stay cool than to grab a nice glass of lemonade?! Well, that’s just what Selena Gomez did! Recently she took to her Instagram to share an adorable photo of herself with her new friends at a local homemade lemonade stand. Selena says, “Haha pulled over to buy some lemonade from these littles. They were the freakin cutest.” How sweet! We love to see Selena supporting these kids. We sure wish our favorite stars would’ve stopped by our lemonade stand at their age!